Case 5: This handsome young African American professional had previously undergone septoplasty with resultant tip collapse. 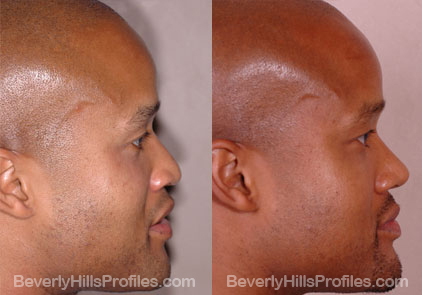 African American rhinoplasty must take into consideration weak cartilage, thick skin and a wide alar base. 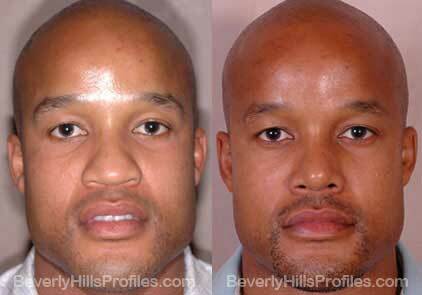 These one year results show a nose that is well-projected, refined, and narrowed while looking completely natural.